Just this morning, I asked God for a way to study His word that was made for me. Lately, in my search for this way to study, I have tried everything. I’m no artist, so sitting with loads of colored pens and doing absolutely nothing with them left me feeling awful. I realize that Bible Journaling isn’t for me, and feeling lost because I haven’t found that special way that turns the lights on when I read His Word. I pray this is His answered prayer!! This is very helpful…and this is all I need. Thank God for this and thank you for sharing this. I have been learning so much my digging past the surface and truly exploring His word. You are absolutely right, there is so much more to it then just reading. We have to absorb it! Thanks for sharing! Yes, reading is important, but it really sticks with us when we truly study the Word. 🙂 Thanks for stopping by, Natalie! This is an invitation to go deeper into the word. There is much to study and put into practice of the word. Reading it just does not equip us to face the circumstances of everyday life. But going further and intentionally with the word allows us to be effective in our faith. There is so much truth in your post and I feel identified completely! Great post! Thanks, Tayrina! 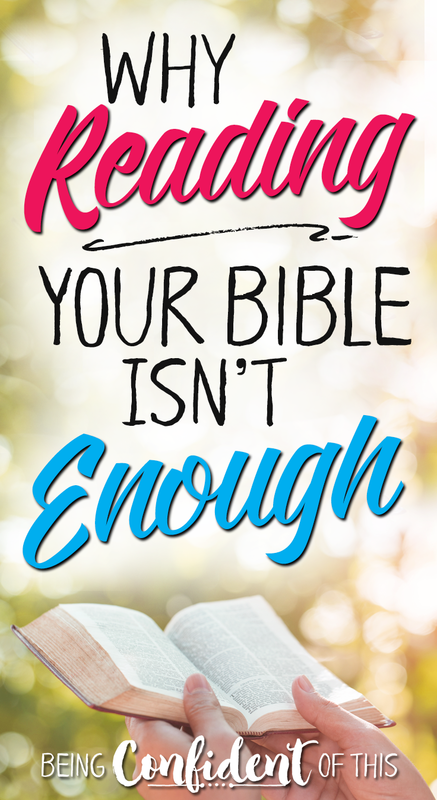 Something I didn’t realize before writing this post is how many women out there are reading their Bibles, daily even, but they aren’t understanding what they are reading. It’s really made me re-evaluate things we are doing at our ladies’ Bible study, etc. I hope many more women of faith will learn how to really dig in! Thanks for sharing your heart so vulnerably, Jen. I really appreciate your tips about digging deep in the Word and would love to put some of these into practise. Thank you for sharing! I love your tips! I haven’t been as intentional since my kids have got out of school. I need to be better! 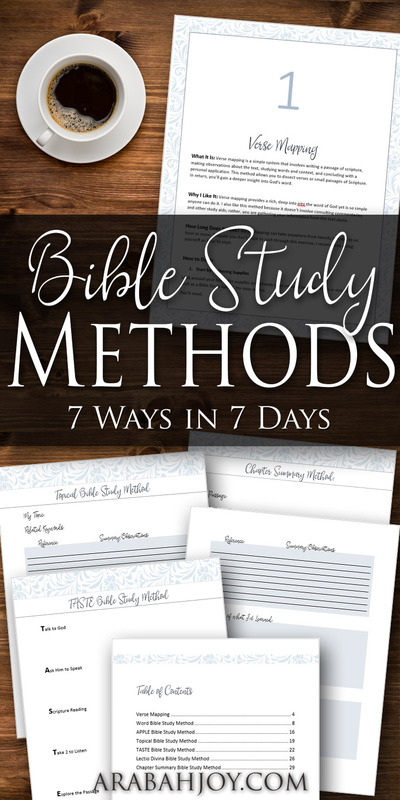 I purchased the “Bible Study Methods” today and was printing out the printables. However, all of a sudden it wouldn’t work because it said the link had ended. How do I get back to the download page to be able to save and print what I need? Thank you for any help you can give me. Linda, I believe you have up to 5 downloads for the product, so if you go back to the email that contains the download links, try clicking on that again. If you still have problems, email me! Thanks! How cool that you lived in a third-world country! We have that in common. Not fitting in was one of the things that drove me to spend time in God’s Word, and I have studied it. It’s the air that I breathe! Hey, Melissa! I know that feeling. 🙂 I hope you find a Bible study technique that you really enjoy. I think that makes a difference as far as having the desire to dig into the Word. 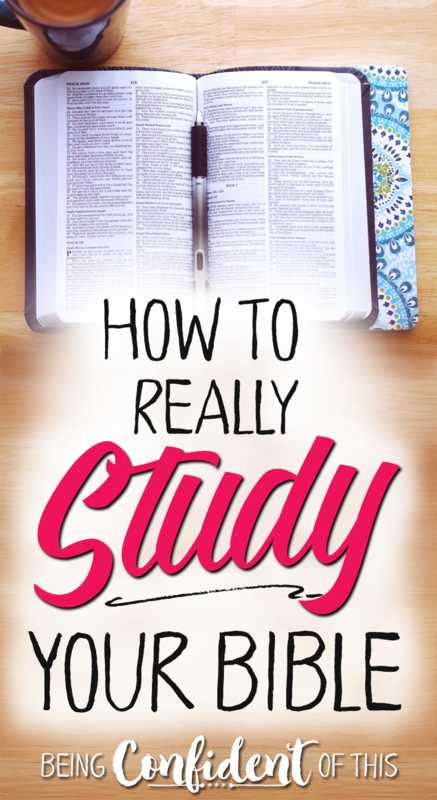 Such great practical tips on how to jump in and study the word of God! I love spending time slowly reading and learning more about God from the Holy Spirit’s guiding. I didn’t realize how easy it is to treat reading as a “checklist item” like you had mentioned, but careful, intentional study makes me appreciate and see more of the treasure God’s word truly is. In your article you said you began reading with questions. I’ve beeen trying to do a “read the Bible in a year” but need some direction for digging in. Do you have any suggestions for study guides with specific questions? Hi, Tiffany! I love that you’re reading through your Bible in a year – awesome! Honestly, you can find a lot of information on different Bible study techniques all over the internet, but if you’re looking for a guide with question, then I recommend Bible Study Methods by Arabah Joy that I mentioned above. Not only does it teach and guide you through each method, but it also contains worksheets that give you questions to ask or specific things to look for! My best tip – don’t write on your original worksheets. Then you can make copies each time you want to use that method. Also, different methods work for different occasions. For example, when I read through the Psalms earlier this year (as part of a yearly plan), I came across a certain phrase several times and was curious about it. So, I used the Word Study method to dig in a little deeper. Then, every time I came across that phrase again, it was a good reminder of what God was using the Psalms to teach me at the moment. I hope this helps! Thank you so much for your story! Ya know, when we struggle with things, like how do i study the Bible, why don’t I understand what I’m reading, etc etc, we feel like the only person that has this problem! It’s encouraging to know we’re NOT the only one! God has had me in a “situation” for quite a while (longer than I think I should be here of course lol) but I know it’s been to reach me how to trust ONLY IN HIM & I also know it’s partially my fault it’s lasting so long because I’ll study & read & pray & watch Kenneth Copeland every day etc for months & nothing changes so I get discouraged or think I must be doing something wrong! But it’s because I’ve never known HOW to study the Bible ! I’ve learned a lot from KCM but it’s still nice to know I’m not alone! I know God has a PURPOSE for my struggles (no job, car, live with daughter & her family ,lost 2 best friends due to circumstances , etc) and made even more difficult by fact that I have no Christian friends ya know to learn with to support & encourage each other. Sorry, didn’t intend to leave such long comment!Thank you again for these resources and your encouragement! Susan, I’m so glad to hear this brought some encouragement your way. The truth is that the Holy Spirit gives us the wisdom we need when we study God’s Word, but different methods certainly do add to our understanding. And it’s hard to use the tools out there if you don’t understand HOW to use them. That’s why I love Arabah Joy’s course so much – the step-by-step instruction. Also, I encourage you to find some Christian community that can help sharpen you as “iron sharpens iron.” Find a local church body that you connect with. God never meant for us to work out our faith on our own! In fact, the word is clear that He gives us specific gifts in order to help build each other up and build the church up. If you’ve been burned by the church or feel nervous about the thought of attending, try a small Bible study first – maybe ask around about a women’s Bible study group in your town. I just hate for you to miss out on the beauty and encouragement of living in Christian community. I’ve been focusing on improving my bible study this year… thank you for this! I so love this post of yours, Jen and I can definitely relate to your teen self from life when I was young. I remember hearing my Sunday School teacher recommending us to read the Bible for twenty minutes a day. Well, I took this pretty literally by placing a timer on my desk as I read the Bible. Once it chimed its little “ding” I closed the cover. I resorted to the checklist mentality that you mentioned instead of truly soaking up the revelation of Scripture. What a difference it makes to truly study the Bible and apply it to your life! I love how you mentioned your own turning point with this, Jen and how it was a new way of looking at the Bible thereafter. Thank you so much for your words of truth, Jen– many blessings in your blogging endeavors and in your ministry, sister! I ask the Holy Spirit to read with me, and I use Bible Hub to read other translations. No disrespect but a lot of people cling to KJV, i used to hear that other version were dumbed down, not so. Don’t let fear keep you from studying and rightly dividing. Yes, that’s exactly some of the information covered in the course I mentioned! Of course we should ask and expect the Holy Spirit to guide and inform us as we read. :) Bible hub is one of my favorites – particularly for doing a Word study, which is one of my favorite techniques. I like to really dig into the original meanings. I also enjoy verse mapping when I have less time, though. This little post really inspired me! I’m 18 and am leaving for Peru very soon to do mission work, and I’ll be away from EVERYONE I know. I will definitely be digging into my Bible a whole lot more, so thank you for this post! How exciting, Dana! I pray your missions work goes smoothly and that you find new depth in digging into the Word! I highly recommend having a Bible reading plan so that your time in the Word has focus. For example, there are many topical reading plans you can find and print for free online. However, my favorite way to read the Bible is to focus on one book at a time. I get so much more from it when I study a book as a whole, rather than a few random verses here and there. I also highly recommend a chronological approach, which means reading through the Bible from Creation to Christ – in the order that these events took place. If you need help with that, look for a book called The Stranger by John Cross. It walks readers through the Bible using a story approach that helps us understand God’s overall plan and His love for His people. If you’re looking for tips for a specific method, then I would purchase Arabah Joy’s course. I’ve used it, my husband has used it, and we’ve both used it at our church plant to teach others how to study God’s Word effectively, too! Hi, Denise! Verse-mapping is a technique that helps you study a short bit of scripture more in-depth. It involves looking at words that stand out to you, as well as the surrounding context. I really like it! If you want to learn more about it, I suggest doing a Google search or a pinterest search for more information, as it would take too long to explain here. As far as Arabah Joy’s course, it is a digital product, which means you’ll receive a file for the workbook that you will need to print out. You’ll also receive a link to the teaching videos. So, the teaching material is both in print (you print it yourself) and in online video form. In fact, the worksheets for each method can be printed as many times as you like! I hope that answers your question. If not, feel free to send me an email.